Pika, also repeated pikapika, is Japanese and means shiny or sparkly. It is an example of sound symbolism in Japanese. 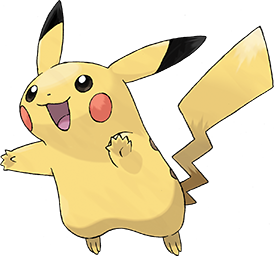 The name of the Pokemon character Pikachu comes from 'pika' here meaning the sound an electric spark makes, and 'chu', the sound a mouse makes. Although ubiquitous in comics, much of the onomatopoeia in comics remains tied to one author or character and become kind of a signature. There is even a super villain named Onomatopoeia. He imitates noises around him, such as dripping taps, gunshots etc. A nice thing about onomatopoeia is that people often make new ones, by imitating the sound and combining letters until they have something that sounds like it. In Jimmy Corrigan: The Smartest Kid on Earth by Chris Ware, change put into a vending machine goes "CLTKTY", which is quite apt, and highly original.